Does J&J's 'No More Tears' baby shampoo contain cancer-causing substance? 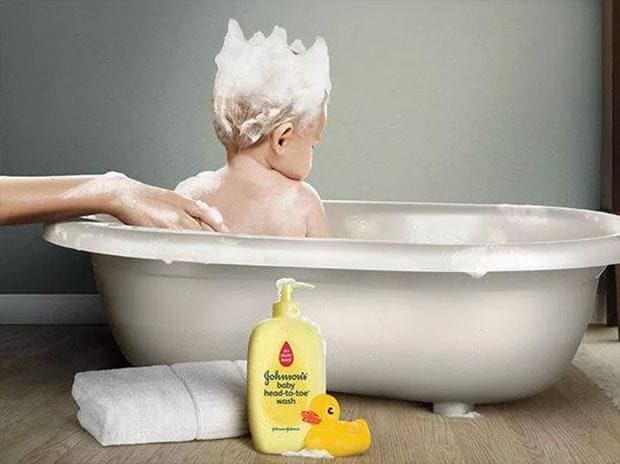 US healthcare giant Johnson & Johnson (J&J) has once again come under the scanner after Rajasthan’s drug controller found that its baby shampoo samples were not of standard quality. The samples tested were found containing harmful substances, said the drug controller. According to reports, the Drugs Control Organization asked state drug controllers across India to withdraw available stocks of J&J’s baby shampoo from the market to ensure that it is not used anymore. “The samples of cosmetics contains harmful ingredients," according to the report of samples tested between 16 and 28 February. Johnson & Johnson had suffered a huge setback in December last year, after a Reuters report alleged that there were traces of asbestos, a carcinogen, in its baby powder. In India, CDSCO ordered the company to stop manufacturing its baby powders using raw materials until further tests proved it was asbestos-free, two days after the Reuters report was published. Even Johnson &Jonson's hip implants left 4,000 patients in the lurch and the government is trying to get the company to pay compensation to all those affected. According to reports, formaldehyde has been identified as a carcinogen, which is a substance that promotes the formation of cancer in the body. J&J, however, denied adding Formaldehyde gas in its ‘No More Tears’ baby shampoo. In a statement, J&J said, "We have confirmed to the Indian authorities that we do not add Formaldehyde as an ingredient in our shampoo nor does Johnson's baby shampoo contain any ingredient that can release formaldehyde over time." In 2014,New York Times reported, J&J's baby shampoo no longer contained two potentially harmful chemicals, formaldehyde and 1,4-dioxane. J&J vowed to remove both chemicals from its baby products by the end of 2013, and in 2014, it said that it had met that goal. In a statement, J&J said, "We do not accept the interim results given to us, which mentioned samples to contain harmful ingredients. Putting the onus on the government, the firm said, "the government did not disclose the test methods, details or any quantitative findings. This is concerning especially when there is no prescribed test method or requirement for testing Formaldehyde in shampoo under the applicable standards". "Our products are safe to use and conform to all applicable standard under the D&C Act and D&C rule", the company said. What is Formaldehyde and is it cancerous? Formaldehyde is a colourless, strong-smelling gas, which is quickly broken down in the air and dissolves in water but does not last long. According to the American Society of Cancer, the dissolved formaldehyde is used as a preservative in some foods and in products, such as antiseptics, medicines, and cosmetics. Sometimes, even though formaldehyde is not used, substances that release formaldehyde are. The Society says that exposure to formaldehyde has been shown to cause cancer. "Exposure to relatively high amounts of formaldehyde in medical and occupational settings has been linked to some types of cancer in humans", reads a blog on American Society of Cancer's website. The International Agency for Research on Cancer (IARC) also classifies formaldehyde as a human carcinogen. The US Department of Health and Human Services added formaldehyde to its list of known human carcinogens in June 2011.